Portugal’s CR7 will play his last World Cup this month. And, at 33, football’s bad boy can still go the distance, going by his knack of pulling off the unthinkable. There is a little-known video on YouTube, with a post-match interview of Cristiano Ronaldo from his early days at Manchester United. The teenager is awarded his first man of the match award in a United shirt and as the presenter quizzes him on his performance, Ronaldo struggles to articulate his thoughts in English. Standing next to him is captain Gary Neville, who helps him out. At one point, the presenter asks the young lad, “Are you feeling more and more confidence with each game?” to which a shy, but grinning Ronaldo sheepishly replies “I no understand.” Neville repeats “confident” but Ronaldo says he doesn’t know what the word means and they laugh. Neville goes on to tell the presenter that Ronaldo is extremely confident. About four years later, in 2007, Ronaldo is at another post-match interview. This time, not only is he a name on everybody’s lips, but his English has vastly improved. It is at this interview that the arrogance of Ronaldo was on full display and he gave his (in)famous quote “Why does controversy follow me? Maybe someone doesn’t like. Maybe because I’m too good.” The exchange is about a controversial penalty that Ronaldo won for his team. The question that follows his iconic sound bite is “When you hear accusations that you cheated, how do you feel?” And then, with a smug grin, he replies, “I feel good. I feel confident.” He’d learned the word and he’d learned how to live up to it. Portugal will be in a tricky group and will have to overcome a rejuvenated Spain to progress to the knockout stages. Yet, nothing seems to deter Cristiano. Oozing confidence, he has a will to capture, once and for all, the title that will all but seal his status as the greatest player of this generation. Confidence is what has made Cristiano Ronaldo the icon he is today. After six fruitful years at Manchester United, he left for a world-record fee to Real Madrid in 2009. A career-ruining move, everybody called it, for he chose to follow in the steps of Ruud van Nistelrooy and David Beckham, who had been accused of destroying their careers by taking the same route. Yet, it was Ronaldo’s self-assurance and will to step up his game that made him the complete phenomenon he is at Real Madrid. He stayed and proved his haters wrong, and nine years since his arrival in Spain, Ronaldo has scored a mind-numbing 450 goals in 437 appearances, breaking every goal-scoring record at the club. Reams have been written on Ronaldo’s career achievements and listing them would take a lifetime. But the one trophy that has eluded this all-time great is around the corner. And, at 33, this will be the Portuguese international’s last appearance at the FIFA World Cup. As Portugal’s most capped player of all time (148 appearances) and all-time topscorer (81 goals), Ronaldo has been a rare gem in a country that is light years behind their European counterparts when it comes to producing raw talent. That he has played an important role in projecting the country as a competitor on the global stage is an understatement. Portugal does not have much of a history in the World Cups. Until 2002, the country had qualified only for two editions. One of those was a third-place finish (1966) spearheaded by the legendary Eusebio, the only player in Portuguese history worth comparing to Ronaldo. Since 2002, the country has participated in all World Cups. Ronaldo made his debut in 2006 and the 21-year-old helped the team reach the semifinal, their best performance since 1966. Despite Ronaldo’s heroics, it was an ugly spat with Manchester United teammate Wayne Rooney, in the quarterfinal against England that he is remembered for at the event. At the 2010 edition in South Africa, he scored only one goal for his country before they crashed out to eventual champions Spain in the round of 16. Brazil 2014 was perhaps his worst tournament. Going into the competition with a thigh injury, he was helpless as his side exited the tournament in the group stage, on goal difference. Nevertheless, he did score one goal, against Ghana. Ronaldo’s most notable contribution in a Portugal shirt was at the 2016 Euros. In a competition packed with high-profile squads, not only did Ronaldo carry the dark horse of the tournament to the final, but he did more than anything he’d done before in his career. Getting injured in the final against France, Ronaldo egged the team on from the sidelines, shouting orders to players and looking more like a coach than the team’s coach himself. Portugal eventually won 1-0 and Ronaldo was rightly credited for scripting their success. It only furthered his reputation as a fighter to the end. Ronaldo went on to help his country qualify for this year’s World Cup in Russia with a ton of goals. But, Portugal will, once again, be in a tricky group and will have to overcome a rejuvenated Spain to progress to the knockout stages. Yet, nothing seems to deter Cristiano. Oozing confidence, he has a will to capture, once and for all, the title that will all but seal his status as the greatest player of this generation. Having defied age and logic, he continues to rain goals for club and country with unmatched consistency and an insatiable hunger for success. Ronaldo is even fitter than players even a decade younger than him. Yet, Ronaldo is not just a footballer. He is also a brand. His chiselled body, trendy hairstyles, trademark goal celebrations, keen sense of fashion, active social life and charisma have made him one of the most marketable sporting icons of the 21st century. Add to that his bad-boy image, arrogance, underwear ads and a string of high-profile girlfriends and you get the perfect modern-day celebrity. But, everything off the field is secondary to him and his life’s biggest goal lies ahead as he heads to Russia. You can write off Portugal, but you cannot write off Cristiano Ronaldo. P.S. You might be wondering how the story of Cristiano Ronaldo, for once, does not include a mention of a certain Argentine wizard. 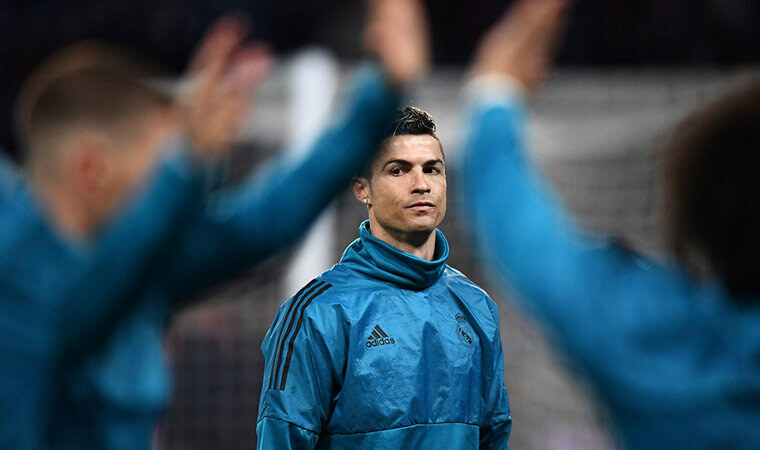 It riles Ronaldo that his legacy of being the best goalscorer of his time has been constantly tainted and challenged by that one man. Nobody would be more happier that he wasn’t featured here, than Ronaldo himself.